We love cozy and what better day to talk about getting cozy than Christmas Eve? We hope you are having a very cozy day with your friends and family. We are picturing you gathered around your fireplace enjoying a cozy mug of hot chocolate and cookies while Christmas music is playing in the background. Well that's our hope at least. The universe is full of fabulous finds for gifting, but finding the time to sort through it all is hard. So we curated a list of wonderful gifts for you & yours. Have a listen ! In this episode we pull back the lace curtain, if you will, and reveal what really gives a home a romantic vibe. Hint, it has little to do with pink, cabbage roses & cherubs. Listen in to get our thoughts on how to get romance right in your decor. Today we are revealing how to create a stunning tree. We've got loads of ideas and tips today. First, we want to wish everyone a Happy Hanukkah! If you have a faux tree, and your tree is old, you might want to consider buying a new tree. Want to know what colors are hot for 2019? We're talking about them today. Benjamin Moore has announced their color of the year, but not only the color for the year, but an entire palette of colors. Today we explore all the possibilities for your Christmas/holiday color palette. Whether you are a traditionalist or pushing the envelope of your holiday decor, you'll get some new ideas & a fresh take on the classics. We also answer one of your questions. It is good one, that many people struggle with in their decorating. Drop the garland and listen in or better yet, keep decorating & listen! Often we say "Rule - Schmule" ~ well, something like that. We generally like to pave our own decorating road and encourage you to do the same. 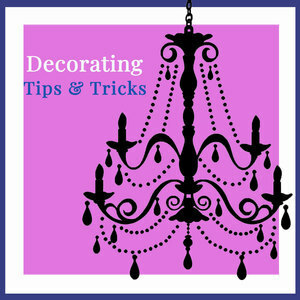 That being said, there are some tried & true rules which when followed make decorating easier and the look better. Today we go over one of these rules, so you know it, understand how to apply it and you know when to hold 'em & when to fold 'em with respect to it. Listen in for the rule, a terrific listener question and a coming together to help request. What is the difference between collectibles, vintage and antiques? Today we're talking about what constitutes an antique or a vintage item, and how you can learn about how old the item is and if it is priced too high or too low. Episode 278: House Rental, Is it For You? Have you thought of renting out your home for a vacation rental? Let's chat about why you might want to, and some things to consider. There are several things things you'll need to do to get your home ready for rental. Episode 277: Brown Furniture, Bummed or Blessed? You've got some. We know you do. The question is how do you feel about it ? Today we dive deep into a discussion of "brown furniture". Prompted by a request this episode is sure to shed some light on how brown furniture is view today and what to do with yours. Listen in ~ Brown Furniture Bummed or Blessed!